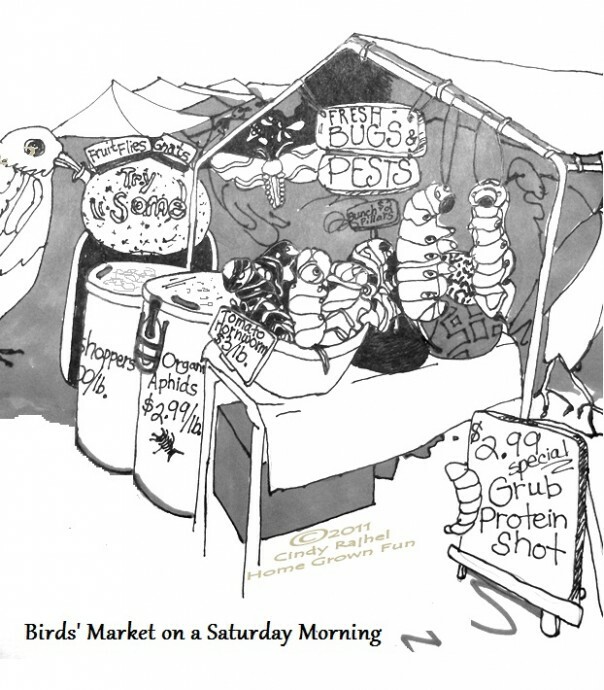 Bunch ‘pillars’ $2, tomato hornworms by the pound… What would a Farmers’ Market look like for birds? For more Tomato Hornworm Humor, checkout our fun and educational poem, ‘The Tricky Tomato Hornworm’. Also see our funny take on how to recycle human hair!